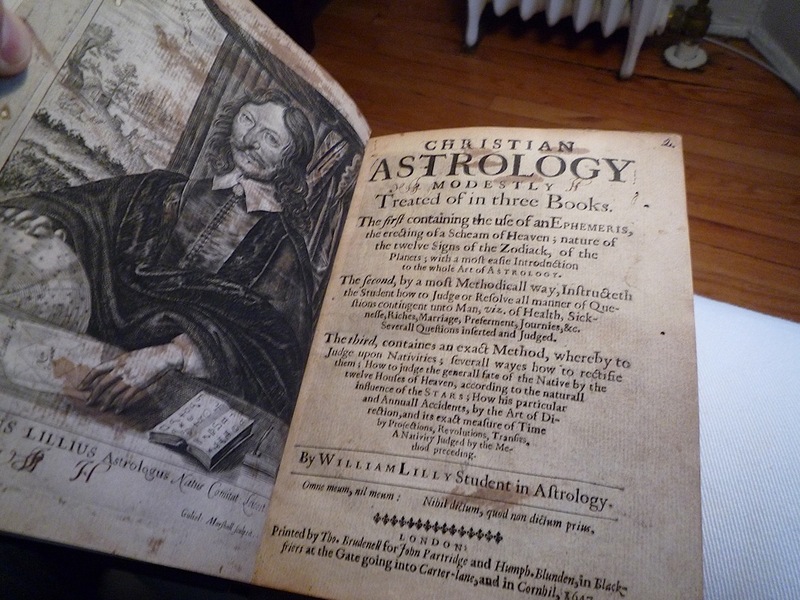 In 1647, the famed English astrologer wrote, “Lilly’s Christian Astrology”. He was initially the favourite of King Charles I and provided very accurate information for the monarch. His writings brought about the foundation for modern astrology. He translated traditional Latin astrology texts from the Middle Ages, into English. He was rather revolutionary for his time and accurately predicted many occurrences. After the first battle on the famous Oxfordshire bridge in Radcot, the 1st English Civil War began. William Lilly stayed loyal to the king, while sympathetic to Parliaments complaints. It’s claimed, William predicted the execution of King Charles I . When the English Commonwealth was enacted by the Puritan lead Parliament, after the 2nd English Civil War, Lilly provided astrology services to many Members of Parliament. Lilly’s Christian Astrology is even dedicated to a very prominent member of Parliament, Bolstrod Whitlock, Esq. William Lilly’s most famous prediction was the Great Fire of London, in 1666. He was brought before the House of Commons to give testimony, as he was considered a suspect. After several hearings, the case against William Lilly was dismissed. During the Restoration under King Charles II, in 1660, Mr. Lilly fell out of favour. His support of the Republicans, during the English Commonwealth, doomed his political reach . He humbly retired to the Home County of Surrey and died in 1681. Here are several links about William Lilly and the transitional period of history he graced. 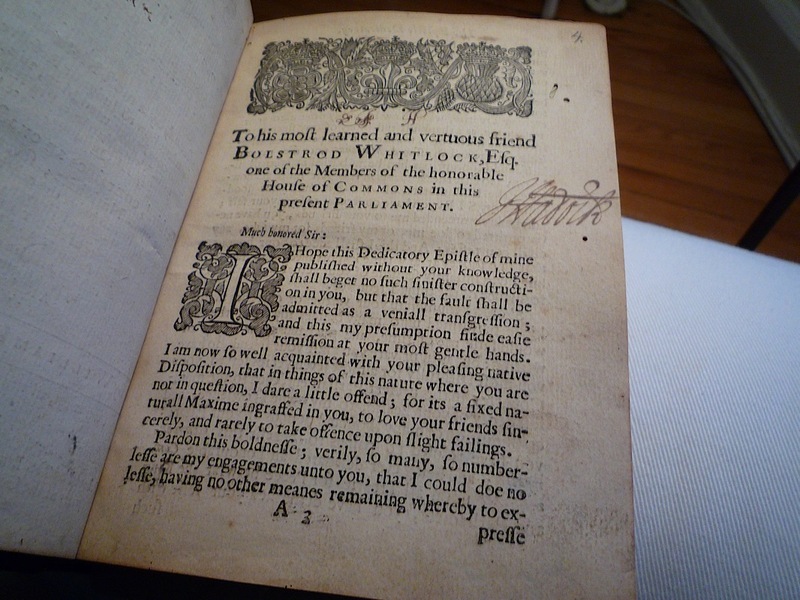 Offering a 1st edition copy, printed in 1647. 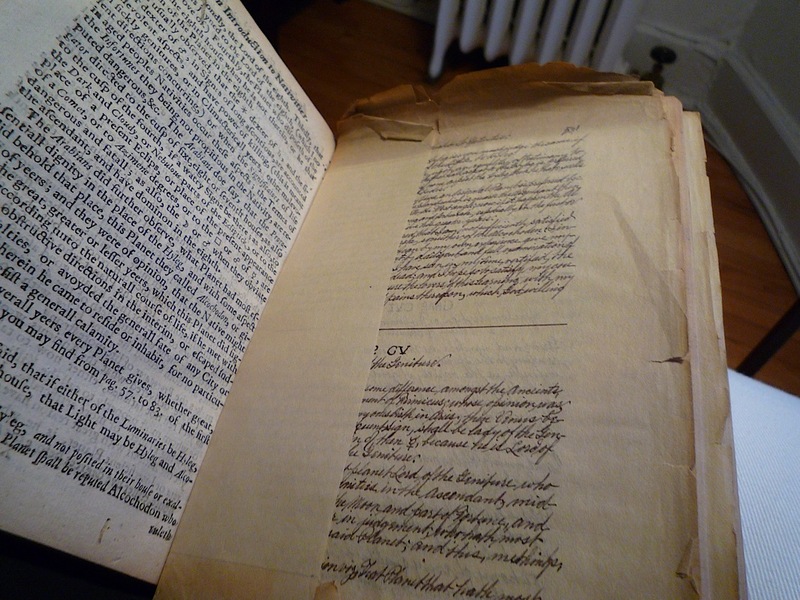 It’s in very complete condition, with several pages replaced in an old hand (handwritten in the 17th century). There is a signature on the dedication page, which I can’t make out. All pages are present and numbered. 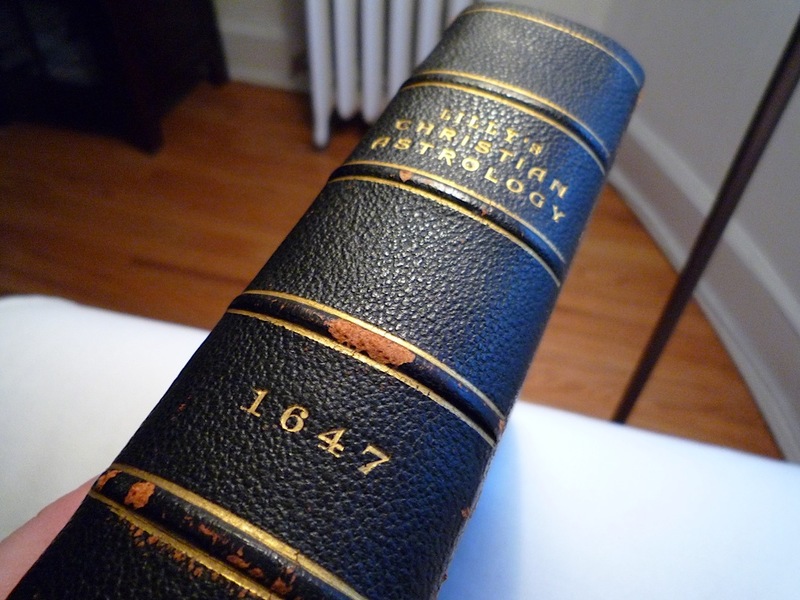 The binding and leather exterior are in Very Good condition for a book of 364 years old. The printed and handwritten pages are all in Very Good condition and easy to turn. There are some wormholes throughout the book. This is common with old books. Below are several photos of the book. More photos can be taken by request. Please be in contact for details, payment and shipping arrangements.